November 20, 2018 – Nutrient availability regulates cell metabolism, growth, and survival. When nutrients are in short supply, cells can pause their growth or even eliminate themselves through a process known as programmed cell death, thereby protecting the health of the organism as a whole. If nutrient deprivation happens at certain critical periods, such as during the rapid growth of the embryonic brain, severe developmental consequences can arise (this is why proper maternal nutrition is so important). In contrast, harnessing the innate ability of cells to enter programmed cell death is an important strategy in cancer treatment. Being able to selectively trigger this behavior would have a substantial impact on human health. However, our current understanding of the molecular mechanisms linking nutrient deficiency with programmed cell death is incomplete. Research in the laboratory of NRI assistant professor Natalia Krupenko, PhD, is directed towards the question of how nutrient stress regulates cell metabolism and survival. Previously, they found that the protein ceramide synthase 6 (CerS6) regulates cell fate in response to nutrient starvation and that it acts via a protein known as p53 (Fekry et al., 2016). Increased activity of p53 is known to pause cell growth or induce programmed cell death. What remained unknown was how CerS6 communicated with p53, an important part of understanding its mode of action. In just-published research, Fekry et al. (2018) now identify the mechanism that links CerS6 with p53. They find that deprivation of the nutrient folate causes increased levels of C16-ceramide (a small molecule produced by CerS6) and that C16-ceramide directly interacts with p53. This interaction stabilizes p53 and allows it to move to the cell nucleus. Once in the nucleus, p53 is able to alter expression of stress-response genes that govern cell growth and death. These results show that the interaction between C16-ceramide and p53 is a part of the cell response to nutrient stress. This has several important implications. 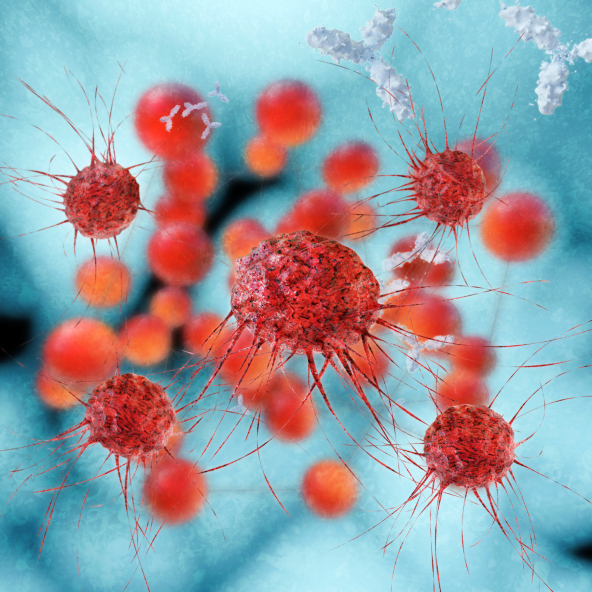 First, in many cancers, p53 activity is decreased, which blocks normal cell death pathways. Finding ways to increase p53 activity is a goal of cancer treatment researchers. The finding that C16-ceramide can increase p53 activity could lead to development of a new class of anticancer drugs. Second, many drugs work by activating or deactivating existing cellular stress response mechanisms to either kill or protect cells as necessary. Clarification of the role of C16-ceramide and p53 in the nutrient starvation response provides increased details on how cells respond to stress. By developing a better understanding of nutrient stress responses, we can identify new strategies that take advantage of our built-in defenses for treatment of a wide array of diseases. Fekry B, Esmaeilniakooshkghazi A, Krupenko SA, Krupenko NI (2016). Ceramide synthase 6 is a novel target of methotrexate mediating its antiproliferative effect in a p53-dependent manner. PLoS One. 11(1):e0146618. Fekry B, Jeffries KA, Esmaeilniakooshkghazi A, Szulc ZM, Knagge KJ, Kirchner DR, Horita DA, Krupenko SA, Krupenko NI (2018). C16-ceramide is a natural regulatory ligand of p53 in cellular stress response. Nat Commun 9: 4149.